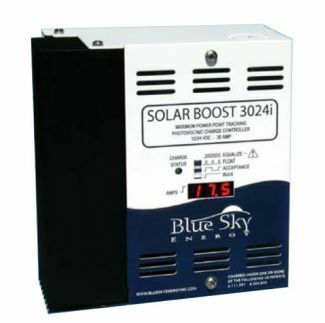 Solar Boost 3024DiL charge controllers include load control outputs. These controllers can also serve as lighting controllers with complete flexibility over post-dusk and pre-dawn ON time settings. 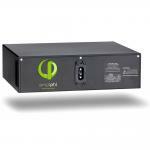 An IPN-ProRemote is required to enable and configure dusk-to-dawn lighting control. The IPN-ProRemote does not need to remain with the system and can be used as a setup tool only. SB3024DiL is designed to charge 12- and 24-volt battery systems from a 24-volt array (maximum open circuit voltage is 57). 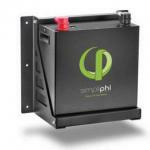 Maximum charge current is 40 amps output at 12 and 30 amps at 24 VDC. The new IPN network interface coordinates multiple controllers and shares temperature sensors and display.